When you’re ready to build a birdhouse, one of the most important considerations you must make is the birdhouse hole size. While the floor space, entrance height, and roof height are also important birdhouse dimensions, it is the diameter of the entrance hole that will most accurately determine which birds find the house attractive. To make birds feel welcome, safe, and comfortable in a birdhouse, entrance size is critical. A fraction of an inch too small and your desired residents could get stuck moving in and out of the house, may damage their feathers as they enter and exit, or will not fit into the house at all. A fraction of an inch too large and you may find less desirable birds such as house sparrows and European starlings usurping the birdhouse or killing other birds or nestlings. A very tiny hole will exclude all cavity-nesting bird species, while a very a large hole is a welcome invitation to squirrels, rats, large snakes, raccoons, or other animals to use the house instead of birds. Many birdhouse kits and novelty birdhouses come with pre-drilled entrance holes that may not match the optimum size for birds you want to nest in your yard. Fortunately, it is easy to increase or decrease the size of a birdhouse hole and still use the house design you are interested in. If a hole is much too small for your birds’ needs, use a paddle or spade drill bit to enlarge it uniformly, taking care not to crack or splinter the wood around the hole. You may need to use a small piece of wood over the original entrance to brace and guide the bit, and it may be necessary to sand away any rough edges after drilling. If the hole only needs to be enlarged a small bit, a round file may be sufficient or you can use a smaller drill bit along the edges of the hole. Be sure to increase the hole size uniformly around the circumference to preserve the circular shape as much as possible, though it does not need to be perfect. 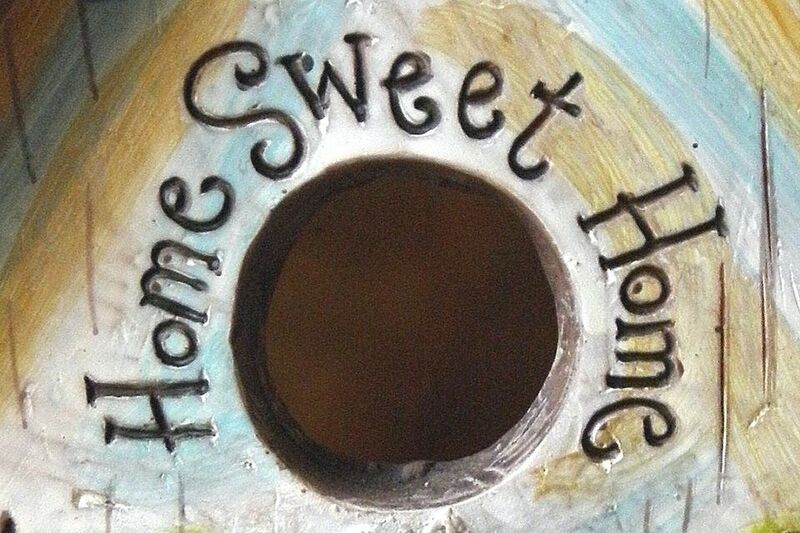 Making a birdhouse hole smaller is easier than it may seem. For simple birdhouses, you can attach a piece of balsa wood or other thin wood with an appropriately sized hole over the original entrance hole with nails, screws, or carpenter’s glue. A wooden resizer, however, may only last one nesting season. For a more permanent solution consider using thin sheet of metal that will resist chewing and talon damage from resident birds. Other options include using a thicker wood piece, an old shingle or even a chunk of natural bark for a rustic, somewhat camouflaged entrance. Different individuals of the same bird species may vary slightly in size, but that variation is so small that birdhouse hole sizes can be made to standard dimensions without difficulty. These basic entrance sizes can help attract just the types of birds you want to become backyard residents. Where two bird species share similar hole size preferences and also breed in the same range, such as the downy woodpecker and the house wren, either bird may use the same house. Even if other dimensions may vary, if the bird finds the house to be a good nesting spot, they'll be happy to raise a family there. Similarly, birds may often use houses with larger than typical entrance holes, though they can be at greater risk from predators or other threats. Even if a bird nests in an unexpected birdhouse, however, backyard birders should never attempt to remove a nest unless it is obviously unsafe or the feathered family has left and it is time to clean the house. By keeping birdhouse entrance holes to the proper sizes, the houses will be more attractive and birds will be more likely to raise their families safely and securely.